Luciferase having the amino acid sequence of Fig. 1 and a gene coding it are disclosed. In addition, a recombinant vector DNA wherein the luciferase-coding gene is connected to the downstream portion of a promoter capable of expressing in each host cell, a transformant obtained by transforming each host cell by the vector DNA, and a process for preparing luciferase using such transformants are also disclosed. This invention relates to a purified enzyme luciferase and a gene coding for the enzyme. This invention further provides a novel recombinant vector DNA in which the gene is inserted, a transformant containing the vector DNA, and a process of producing luciferase using the transformant. Cypridina hilgendorfii is a marine ostracod crusfacean living in the coast of the Sea of Japan, which releases a pale blue luminescent fluid when it is disturbed. The luminescence is produced by the oxidation of luciferin by an enzyme luciferase. The luminescent system is very simple because another indispensable component is not required unlike the luminescence of firefly or liminescent bacteria, so that the application of this luminescent system to the assay of a component contained in a sample in a trace amount is expected. However, although luciferin can be chemically synthesized in a large amount, luciferase cannot be chemically synthesized because it is an enzyme, so that it is difficult to obtain luciferase in a large amount. This situation is also true in the luciferase of Cypridina hilgendorfii and the highly purified luciferase of Cypridina hilgendorfii has not yet been obtained. A method for preparing luciferase from ground powder of Cypridina hilgendorjii is disclosed in Method of Enzymology, vol. 57, 1978, pages 364-372, Tsuji, F. Further, because of the sea pollution, the catch of Cypridina hilgendorfii drastically decreased. Thus, the constant supply of the luciferase of Cypridina hilgendorfii is not assured. Therefore, it is desired to establish a large scale production process of the enzyme, which employs the genetic recombination technique. The object of the present invention is to attain the synthesis of highly purified luciferase by genetic recombination process, to provide a gene encoding the protein, to attain the expression of the cloned gene in an animal cell, yeast cell, in E. coli cell or the like, and to produce the highly purified enzyme in a large amount using the cell. The present invention provides a process for producing luciferase comprising the culturing of a transformant with a vector DNA coding for luciferase having the amino acid sequence as shown in figure 1 and comprising a gene having the nucleotide sequence as shown in figure 1. Figs. 1a, 1b, 1c and 1d show the nucleotide sequence of the luciferase from Cypridina hilgendorfii as well as the amino acid sequence thereof. The upper row in each line indicates the amino acid sequence and the lower row in each line indicates the nucleotide sequence of the cDNA. Fig. 2 shows a construction of a recombinant plasmid pCL07 containing the cDNA encoding the luciferase from Cypridina hilgendorfii as well as the restriction map thereof. Fig. 3 shows a construction of an expression vector pSVLCL5 of the luciferase from Cypridina hilgendorfii for animal cells. Fig. 4a shows restriction maps of expression vectors pMEF3A, pMFE3B, pMFE3C and pMFE3D of the luciferase from Cypridina hilgendorfii for yeast cells and Fig. 4b shows the nucleotide sequence of the region in the vicinity of the junction region of α pheromone gene and cDNA of the luciferase, as well as the amino acid sequence thereof. Fig. 5 shows a construction of an expression vector pGL1 of the luciferase from Cypridina hilgendorfii for yeast cells. Fig. 6 shows a construction process of expression vectors pMT-CLP, pMT-CLS and pMT-CLT of the luciferase from Cypridina hilgendorfii for E. coli. The luciferase of the present invention is a protein containing 555 amino acids having an amino acid sequence of 1st to 555th amino acid in the amino acid sequence shown in Fig. 1, a protein containing 527 amino acids having an amino acid sequence starting from the 29th amino acid proline in Fig. 1, a protein containing 526 amino acids having an amino acid sequence starting from the 30th amino acid serine in Fig. 1, a protein containing 525 amino acids having an amino acid sequence starting from the 31st amino acid serine, or a protein containing 524 amino acids having an amino acid sequence starting from the 32nd amino acid threonine. The gene of the present invention is a gene encoding the above-described luciferase and has a DNA sequence shown in the lower row in Fig. 1. The procedure of obtaining the gene encoding the luciferase of the present invention will now be described. First, Cypridina hilgendorfii are disrupted in guanidine thiocyanate solution and total RNAs are extracted therefrom, followed by purification of poly(A)+ RNAs by oligo(dT) cellulose column chromatography. After synthesizing cDNAs using the poly(A)+ RNAs, the cDNAs are cloned into λ gt10 to obtain a cDNA library. On the other hand, the amio acid sequence of the region in the vicinity of N-terminal of the luciferase protein purified from Cypridina hilgendorfii and the amino acid sequences of the oligopeptides obtained by the digestion with lysylendopeptidase are determined and several oligonucleotides having nucleotide sequences corresponding to the determined sequences are chemically synthesized. These oligonucleotides are used as probes for the screening of the above-described cDNA library. The nucleotide sequence of the inserted gene in the recombinants which form a hybrid with the probes in the plaque hybridization is determined. If it matches with the amino acid sequence of the luciferase protein, the inserted gene can be identified as a portion of the gene encoding the luciferase protein. The present invention also provides recombinant vector DNAs containing each of the above-described DNAs ligated at a site downstream of a promoter by which the gene can be expressed in a host cell such as animal cells, yeast cells and E. coli cells, the transformants transformed with the recombinant vector DNAs and processes of producing luciferase using the transformants. More particularly, the recombinant vector DNAs of the present invention may be obtained by ligating the cDNA encoding the luciferase from Cypridina hilgendorfii with a vector DNA which is stably maintained in animal cells, yeast cells or E. coli cells, which vector DNA contains a promoter by which the inserted gene can be expressed in the host cells. The promoter is a signal for initiating the RNA synthesis, which is recognized by RNA polymerase and bound thereby. The DNA sequence downstream from the promoter is transcribed to mRNA. Thus, in order that the gene encoding the luciferase from Cypridina hilgendorfii is transcribed to mRNA, it is necessary that the gene be located downstream of the promoter which functions in a host cell. Thus, the recombinant vectors prepared by cleaving a vector DNA at an appropriate site downstream of the promoter contained in the vector and inserting therein the DNA containing the gene encoding the luciferase may be utilized. The promoter which is used herein may be any promoter as long as it functions in a host cell. For example, promoters of animal genes and animal virus genes may be used for construction of the recombinant vector which functions in an animal cell. More particularly, examples of the promoters include SV40 late promoter, promoter of thymidine kinase gene, SV40 early promoter, promoter of Cytomegalovirus and the like. For yeast cells, promoters of yeast genes may be employed. For example, promoters of repressible acid phosphatase gene (PHO5), galactokinase gene (GAL1), a pheromone gene (MFα1) gene of yeast and the like may be employed. For E. coli, promoters of E. coli genes and E. coli phages genes may be employed. For example, the promoter of lactose operon (lac), the try operon promoter, the PL promoter of λ phage and the like may be employed. Further, synthetic tac promoter and the like may also be employed. Any vector DNA which is stably maintained in a host cell and which has a promoter which functions in the host cell may be employed. For example, for animal cells, plasmid vectors and virus vectors may be employed. More particularly, pSV2 (a vector containing SV40 early promoter, J. Mol. Appl. Genet. USA, 1, 327 (1982)), pSVL (a vector containing SV40 late promoter, commercially available from Pharmacia) and the like may be employed. For yeast cells, pMFα8 (a vector containing the promoter of α pheromone gene (MFα1), Gene, 3, 155 (1985)), pAM85 (a vector containing the promoter of repressible acid phosphatase gene (PHO5), Proc. Natl. Acad. Sci. USA, 80, 1 (1983)) and the like may be employed. For E. coli, pMT-1 (originated from an expression vector pKM6 containing the promoter of trp operon (Japanese Laid Open Patent Application (Kokai) No. 61-247387), pUC18/pUC19 (Gene, 33, 103 (1985)) and the like may be employed. By inserting the cDNA encoding luciferase downstream of a nucleotide sequence encoding a signal peptide for protein secretion, which functions in the host cell, luciferase can be secreted to the outside of the cell. The signal sequence is not restricted to a specific one and the signal sequence of interleukin-2 (IL-2), for example, may be employed for animal cells. For yeasts, the signal sequence of α pheromone and the like may be employed. For E. coli, the signal sequence of β-lactamase and the like may be employed. In cases where the luciferase is to be accumulated in the cells, it is not necessary to ligate the signal sequence. 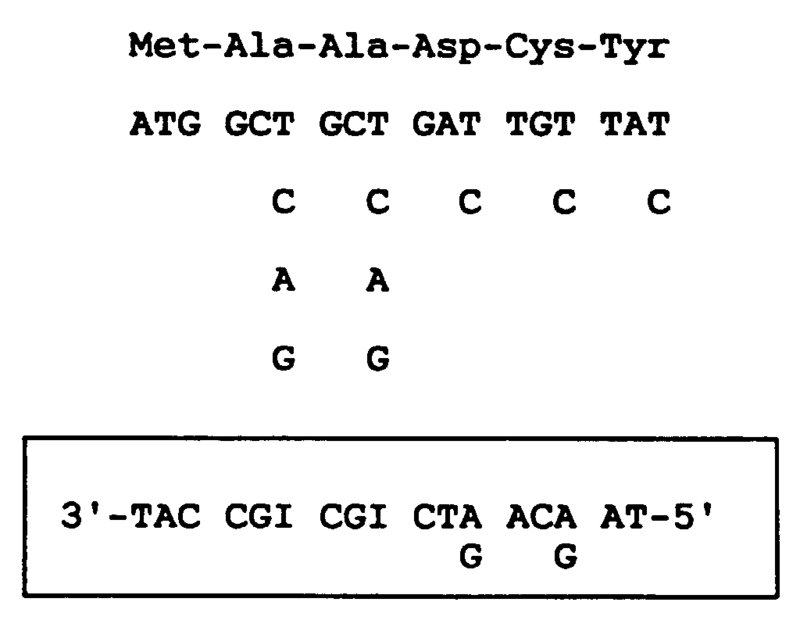 In cases where E. coli is used as the host cell and the produced luciferase is to be accumulated in the cell, it is necessary to attach a nucleotide sequence of "ATG" encoding methionine to the 5'-end of the gene which is desired to be expressed, and to ligate the resuting gene having "ATG" at 5'-end at a site downstream of a promoter and an SD sequence, which function in E. coli cell. The SD sequence is a signal for the initiation of the protein synthesis from the "ATG" codon downstream thereof, which sequence in mRNA is recognized and bound by ribosome. The reason why the methonine is attached is that most of eukaryotic genes encoding a protein to be secreted encodes the mature protein downstream of the signal sequence for the secretion of the protein so as to produce a precursor protein having a signal peptide, and the mature protein is produced by cleaving off the signal peptide in the process of protein secretion, so that most of the eukaryotic mature proteins do not contain methionine of which codon is indispensable to the initiation of the protein synthesis. Further, since the natural luciferase purified from Cypridina hilgendorfii is a mixture of two proteins of which N-terminals are serine and threonine, respectively, and since most of the eukaryotic signal sequence is cleaved next to alanine-X-alanine and a sequence of analine-glutamic acid-alanine-proline exists in the amino acid sequence deduced from the nucleotide sequence of Cypridina hilgendorfii luciferase, three kinds of expression vector having a N-terminal region at the downstream of the methionine codon, which encodes the luciferase which starts from proline, serine and methionine, respectively are employed. The transformants obtained by transforming a host cell such as animal cells, yeast cells and E. coli cells with each of the above-mentioned recombinant vectors are prepared by introducing the recombinant vector DNA into the host cell. The animal cells which may be used in the present invention are not restricted. Examples of the animal cells include COS-1 cell (a cell transformed with SV40 from the kidney of Africa green monkey), CHO cell (originated from the ovary of Chinese Hamster) and the like, and COS-1 cell is preferred. The yeast cells which may be used in the present invention are not restricted. Examples of the yeasts include Saccharomyces cerevisiae, Shizosaccaromyces pombe, Pichia pastoris and the like. The E. coli cells which may be used in the present invention are not restricted and examples thereof include HB101, JM109 and the like. The method of introducing the recombinant vector DNA into the host cell is not restricted. For example, in cases where the host cell is an animal cell, DEAE-dextran method [Mol. Cell. Biol., 5, 1188 (1985)], calcium-phosphate co-sedimentation method [Cell, 14, 725 (1978)], electroporation method [EMBO J. 1, 841 (1982)] or the like may be employed. Among these, DEAE-dextran method is preferred. In cases where the host cell is a yeast cell, protoplast method [Proc. Natl. Acad. Sci. USA, 75, 1929 (1978)] may preferably be employed. Further, in cases where the host cell is E. coli, calcium chloride method [J. Mol. Biol., 53, 154 (1970)] may preferably be employed. By introducing each of the recombinant vector DNA into the host cells, novel recombinant vector DNA in which the DNA containing the gene encoding the luciferase from Cypridina hilgendorfii as well as the transformants having the ability to produce the luciferase may be obtained. Each of the transformants is cultured in a culture medium and the luciferase may be obtained from the culture. Any culturing medium may be employed as long as the host cell can grow therein. For example, for animal cells, Dulbecco's modified Eagle medium or the like may be employed. For yeasts, YEPD medium (20 g/l of tryptone, 10 g/l of yeast extract and 20 g/ml of glucose) or the like may be employed. For E. coli, L broth (10 g/l of tryptone, 5 g/l of yeast extract and 10 g/l of sodium chloride) or the like may be employed. Any culturing temperature may be employed as long as the cell can grow, and 15 - 45°C may usually be preferred. For animal cells and E. coli cells, 25 - 40°C is preferred and 30 - 37°C is more preferred. For yeasts, 15 - 45°C is preferred, and more preferably 20 - 30°C. The culturing period is not restricted and is usually 1 - 10 days, preferably 3 - 7 days for animal cells and yeasts, and 1 - 3 days for E. coli. In cases where the promoter requires an appropriate induction, for example, in cases where the promoter is the promoter of metallothionein gene for animal cells, the promoter of repressible acid phosphatase gene for yeasts or trp promoter for E. coli or the like, the expression of the promoter may be induced by the manner required for the respective promoter such as addition of an appropriate inducer, removal of an appropriate substance, changing the culturing temperature, irradiation with ultraviolet light and the like. More particularly, in cases where trp promoter is employed for E. coli, the promoter can be induced by adding IAA (indoleacrylic acid) which is an inducer of trp operon. In cases where a trace amount of protein produced in the non-induced state adversely affects the growing of the cells, it is preferred that the expression of the promoter be repressed to a level as small as possible in the non-induced state. For example, a promoter of which expression is completely repressed in the non-induced state may be employed, or a repressor gene of the promoter may be co-employed. For example, in case of trp promoter, a recombinant plasmid having an repressor gene of the trp operon may preferably be employed. In this case, the tryptophane repressor gene (trpR) [Nucleic Acids Res. 8, 1552 (1980)] may be employed. Alternatively, the above-described method for secreting the produced protein outside the cells may be employed. The culture is separated into the supernatant and the cells by an appropriate method such as centrifugation, and the luciferase activity in the culture supernatant or in the cell extract is measured using a luminometer or the like. Although the culture supernatant or the cell extract may be used as it is as a crude enzyme solution, if required, the luciferase may be purified by, for example, the method by F. I. Tsuji [Methods in Enzymol., 57, 364 (1978)]. The present invention will now be described in more detail by way of examples thereof. Five grams of Cypridina hilgendorfii collected at Tateyama Bay in Chiba prefecture which was stored in frozen state was suspended in 75 ml of a solution containing 6M guanidine thiocyanate, 5 mM sodium citrate (pH 7.0) and 0.5% sodium lauryl sarkosinate, and the suspension was homoginized with Polytron Homogenizer (commercially available from Chimanetica) to disrupt the cells. Lithium chloride solution (included in a kit commercially available from Amersham) was added thereto and about 600 µg of RNA was obtained by lithium chloride co-sedimentation method. Three hundred micrograms of aliquote of the thus obtained RNA was purified by oligo(dT) cellulose column (commercially available from Colaborative Research) chromatography to obtain about 15 µg of poly(A)+RNA. From 2 µg of the thus obtained poly(A)+RNA, 1 µg of double-stranded DNA was obtained using a cDNA synthesis kit (commercially available from Life Technologies, Inc). Internal EcoRI site of 0.15 µg of the thus obtained double-stranded DNA was protected by EcoRI methylase and an EcoRI linker was ligated using T4 DNA ligase. The resultant was digested with EcoRI to convert the both ends to EcoRI sites. The resulting DNA was inserted into the EcoRI site of λ gt10 using T4 DNA ligase and the resultant was introduced into phage particles by the in vitro packaging method. E. coli NM514 was transduced with the resulting phage to obtain a cDNA library of 1 x 106 PFU. Oligonucleotides corresponding to the following 5 oligopeptides in the above-described 13 oligopeptides were prepared using a DNA synthesizer (commercially available from Applied Biosystems). In the nucleotide sequence, "I" represents deoxyinosine. One microgram each of the above-described 5 oligonucleotides was dissolved in 10 µl of 50 mM Tris-HCl (pH 7.6) containing 10 mM magnesium chloride, 5 mM of dithiothreitol, 1 mM of spermidine and 100 mM potassium chloride, and then 5 µl of [γ-32P]ATP (3,000 Ci/mmol, commercially available from Amersham), 85 µl of distilled water and 2 µl of T4 polynucleotide kinase (commercially available from Takara Shuzo) were added thereto, followed by incubation at 37°C for 1 hour so as to carry out the labeling with 32P. About 10,000 plaques per one plate were formed on 50 agar plates using the cDNA library prepared in Example 1. The plaques were transferred to Nylon membranes and were denatured with 0.5 M sodium hydroxide/1.5 M sodium chloride solution, followed by neutralization in 0.5 M Tris-HCl (pH 7.0)/1.5 M sodium chloride. After incubating the membranes at 80°C for 2 hours to fix the phage DNAs to the menbranes, prehybridization was performed by incubating the resulting membranes in 50 mM sodium phosphate (pH 7.4) containing 0.75 M sodium chloride, 5 x Denhaldt's solution (0.1% bovine serum albumin, 0.1% Ficoll and 0.1% polyvinylpyrrolidone), 5 mM EDTA, 0.1% SDS and 100 µg/ml of denatured salmon sperm DNAs at 45°C for 2 hours. Then the resulting membranes were transferred into a fresh solution with the same composition and oligonucleotide Probe V labelled in Example 2 was added thereto to a level of 5 µCi/ml, followed by incubation at 45°C overnight to carry out the hybridization. About 16 hours later, the membranes were washed with 6 x SSC [90 mM sodium citrate (pH 7.0)/0.9 M sodium chloride] containing 0.1% SDS twice for 30 minutes each at room temperature, and then twice for 30 minutes each at 45°C. After drying in the air, the membranes were autoradiographed at -70°C for 48 hours using X-OMAT AR(trademark, commercially available from Kodak). The films were developed and 32 positive clones were obtained. Phage was grown from these positive clones on the agar plates and the phage DNAs were purified. The obtained DNAs were stored at -20°C. 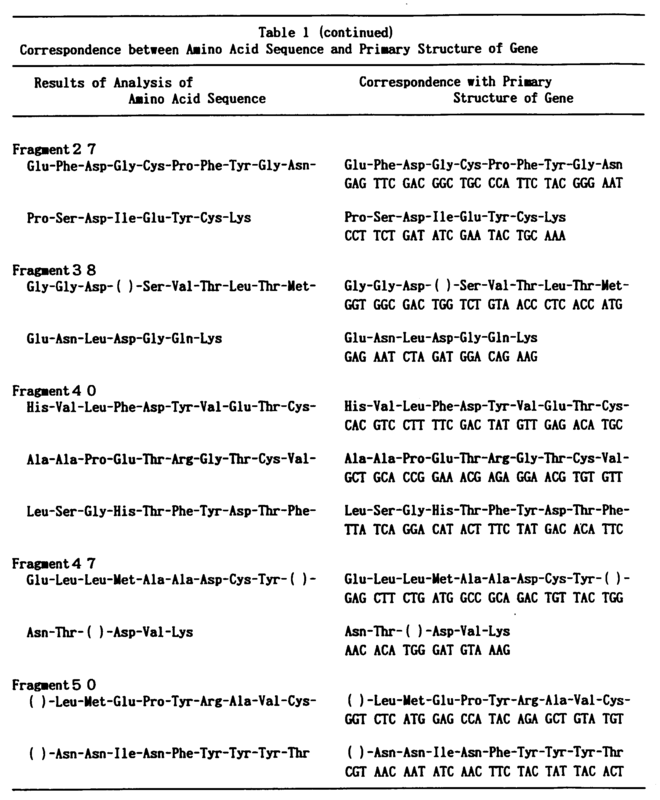 From the clone λ CL07 which contained the largest inserted fragment of about 1900 base pairs of the obtained 32 positive clones, the inserted fragment was cut out with restriction enzyme EcoRI and the fragment was subcloned into plasmid pUC18 to construct a recombinant plasmid pCL07 (Fig. 2). The nucleotide sequence of the 1.9 kb EcoRI fragment was determined by the usual dideoxy method. The determined nucleotide sequence is shown in Fig. 1. 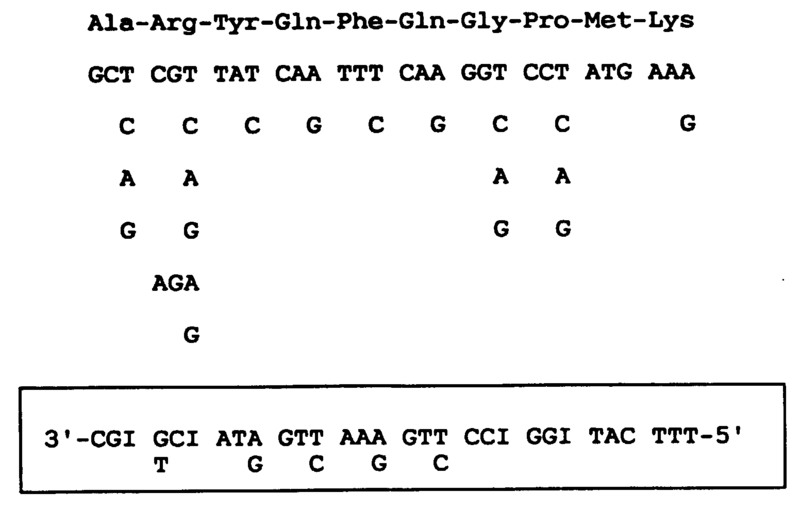 By comparing the information of the obtained gene and of the protein obtained in Example 2, the protein matched with the primary structure of the gene as shown in Table 1. As a result, the nucleotide sequence of the luciferase gene from Cypridina hilgendorfii as well as the amino acid sequence of the protein was determined as shown in Fig. 1. One microgram of the above-mentioned 1.9 kb EcoRI fragment encoding luciferase from Cypridina hilgendorfii obtained in Example 4 was treated with 5 units of E. coli DNA polymerase I large fragment (commercially available from Takara Shuzo) in the presence of 1.5 mM each of dATP, dTTP, dCTP and dGTP to repair the ends of the fragment. On the other hand, vector pSVL (an expression vector containing SV40 late promoter, commercially available from Pharmacia) was digested with restriction enzyme SmaI. Then the 1.9 kb fragment (0.3 µg) of which ends were repaired and the SmaI digest of pSVL (0.1 µg) were ligated by T4 DNA ligase, and E. coli HB101 competent cells (commercially available from Takara Shuzo) were transformed with the resulting reaction mixture to obtain a recombinant plasmid in which the 1.9 kb fragment was inserted. The obtained recombinant plasmid was named pSVLCL5 (Fig. 3). The expression vector pSVLCL5 (10 µg) constructed in Example 5 was introduced into COS-1 cells by DEAE-dextran method [Mol. Cell. Biol. 5, 1188 (1985)]. On the other hand, as a control, pSVL (10 µg) was introduced in the same manner into COS-1 cells. These cells were cultured in 10 ml of Dulbecco's modified Eagle Medium (commercially available from Nissui Pharmaceuticals) containing 10% fetal bovine serum in a culturing flask of 25 cm2 in the presence of 5% CO2 at 37°C for 5 days. During the culturing and after the cultuing, 1 ml each of the culture liquid was recovered and was centrifuged at 3,000 rpm for 10 minutes at 4°C. The supernatant of each of them was collected to obtain culture supernatants. After the culturing, cells were peeled from the flask by trypsine treatment and were washed with 1 ml of PBS (-) (commecially available from Nissui Pharmaceuticals). The washings were centrifuged at 3,000 rpm for 10 minutes at 4°C and the supernatant was discarded. This operation was further repeated twice and the cells were suspended in 200 µl of PBS(-). Freeze-thaw cycle was repeated three times to obtain a cell extract. The luciferase activities in the culture supernatants described in Example 6 were measured by the following method and the results are shown in Table 2: That is, 30 µl of the culture supernatant and 270 µl of a measuring buffer [100 mM sodium phosphate (pH 7.0)/200 mM sodium chloride] were mixed. To the mixture, was added 2 µl of 33 µM Cypridina hilgendorfii luciferin and the number of photons generated was counted immediately for 30 seconds using a luminometer (Lumac L2010). The luminescent intensity is indicated in terms of the average number of photons per one second. The number of generated photons were measured in the same manner for the culture supernatant of COS-1 cell in which pSLV was introduced as a control. Luciferase proteins having the amino acid sequence starting from the 29th amino acid proline of the amino acid sequence shown in Fig. 1 (YP type), from the 30th amino acid serine (YN type), from the 31st amino acid serine (YS type) and from the 32nd amino acid threonine (YT type), respectively, were prepared since (1) the wild type luciferase purified from Cypridina hilgendorfii is a mixture of two proteins of which N-terminal is the 31st amino acid serine in the amino acid sequence shown in Fig. 1 and the 32nd amino acid threonine; (2) an amino acid sequence having the characteristics of the signal sequence for the secretion of proteins exists at the N-terminal of the amino acid sequence of the luciferase, which is deduced from the nucleotide sequence of the cDNA; and since (3) the signal sequence is cleaved off at the downstream of the sequence of alanine-X-alanine in most of eukaryotes and Cypridina hilgendorfii luciferase has a sequence of alanine-glutamic acid-alanine-proline. To ligate the proteins downstream of the signal sequence of the α pheromone, the following 10 oligonucleotides were synthesized. 5'-Ends of the synthetic oligonucleotides YP-2, YS-2, YT-2, YN-2 and U-2 were phosphorylated by T4 DNA kinase. That is, 300 pmol each of the oligonucleotides was reacted in 20 µl of a reaction mixture [50 mM Tris-HCl (pH 7.6) containing 10 mM magnesium chloride, 0.1 mM spermidine, 5 mM dithiothreitol and 0.1 mM EDTA] in the presence of 10 units of T4 DNA kinase (commercially available from Takara Shuzo) at 37°C for 1 hour and then the reaction mixture was heated at 70°C for 5 minutes, followed by storage at -20°C. For YP type, 50 pmol each of YP-1, phosphorylated YP-2, U-1 and phosphorylated U-2 were mixed. For YS type, 50 pmol each of YS-1, phosphorylated YS-2, U-1 and phosphorylated U-2 were mixed. 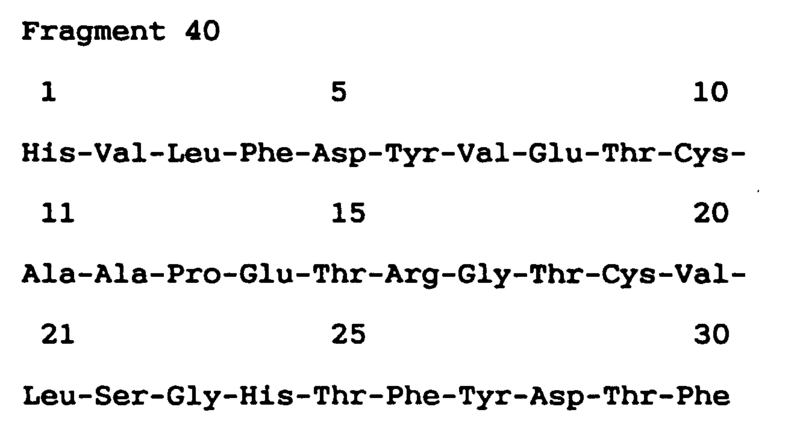 For YT type, 50 pmol each of YT-1, phosphorylated YT-2, U-1 and phosphorylated U-2 were mixed. For YN type, 50 pmol each of YN-1, phosphorylated YN-2, U-1 and phosphorylated U-2 were mixed. Each mixture was heated at 70°C for 5 minutes and then the power of the incubator was shut off to leave the mixture to stand until the temperature is lowered to 42°C. The synthetic oligomers described in Example 8 were respectively inserted into Cypridina hilgendorfii luciferase cDNA at the ClaI site to construct luciferase cDNAs having StuI site at the 5'-end, from which 28, 29, 30 and 31 amino acids from the N-terminal were cut off, respectively. 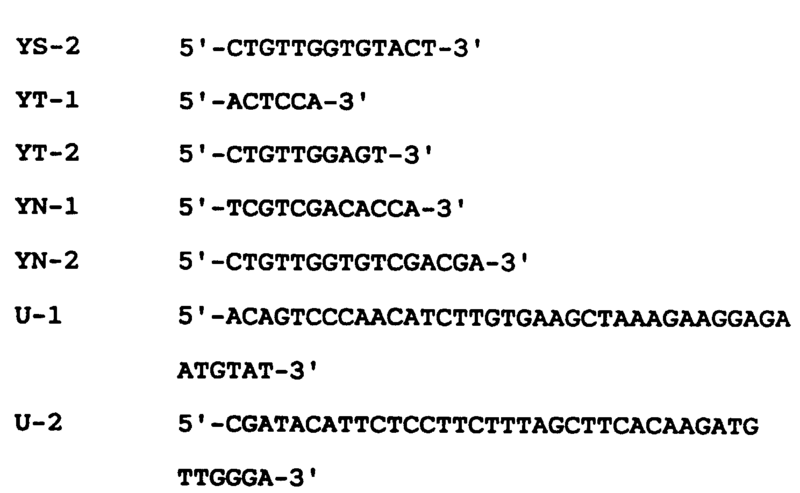 The expression vector pMFα8 for yeasts [Gene, 3, 155 (1985): ATCC 37418] was digested with restriction enzyme StuI immediately downstream of the region encoding the leader sequence of the α pheromone gene and the above-mentioned luciferase cDNA was inserted therein. 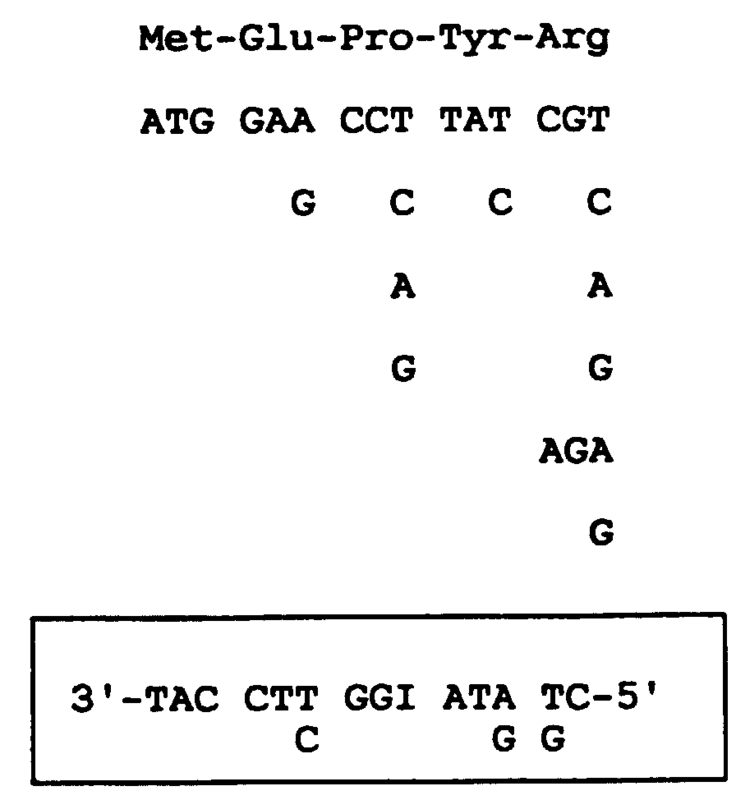 The thus constructed expression vectors were named pMEF3A (YP type), pMEF3B (YS type), pMEF3C (YT type) and pMEF3D (YN type), respectively (Fig. 4a). The nucleotide sequence in the vicinity of the junction region between the α pheromone gene and luciferase cDNA of each expression vector was checked by the usual dideoxy method using a sequence in the luciferase cDNA, 5'-TATAAATGGTCCAAGGA-3', as a primer to confirm that the cDNAs were inserted correctly. The nucleotide sequences in the vicinity of the junction region between the α pheromone gene and luciferase cDNA of pMFE 3A, pMFE3B, pMFE3C and pMFE3D are shown in Fib. 4b. The two EcoRI fragments with a size of 1.3 kb and 0.6 kb were cut out from λ CL07 obtained in Example 3 and were respectively subcloned to plasmid pUC18 to construct plasmids pCL0712 and pCL0742, respectively. pCL07 (1 µg) and pCL0712 (1 µg) were cut with HindIII and BglII, and a DNA fragment containing the N-terminal of the luciferase was purified from pCL07 and a DNA fragment containing the C-terminal of the luciferase was purified from pCL0712. The two fragments were subcloned to a plasmid pSPT18 (commercially available from Boehringer-Mannheim) at the HindIII site thereof, and the obtained plasmid was named pSTCL81. The pSTCL81 (1 µg) was digested with BamHI and the total cloned cDNA sequence was obtained as BamHI fragment. On the other hand, about 1 µg of expression vector p103 [containing a polylinker including BamHI site at the downstream of the GAL1 promoter of Saccharomyces cerevisiae (Mol. Cell. 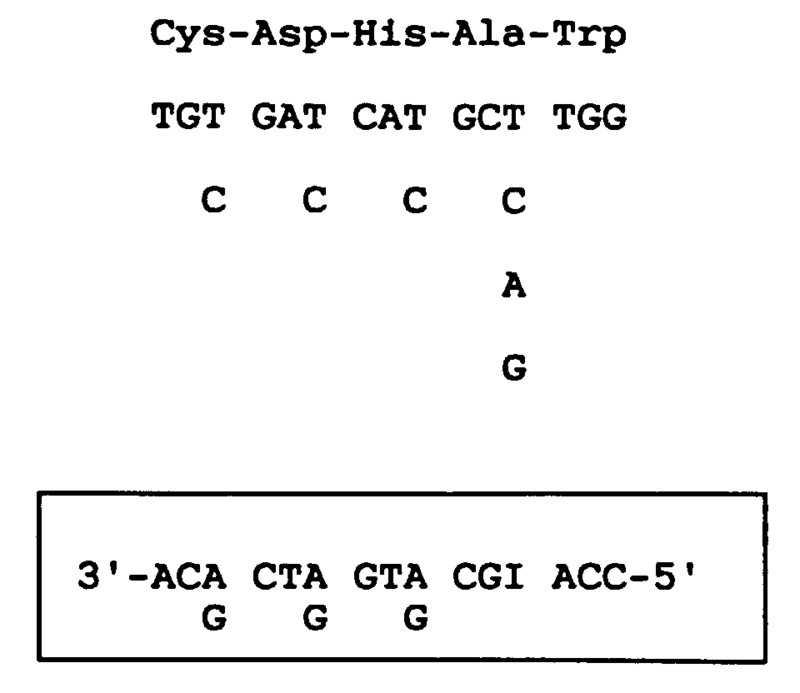 Biol., 4, 1440 (1984)); presented by Assistant Professor Shun Harajima of Osaka University] was digested with BamHI and the resultant was ligated with the about 0.1 µg of the above-mentioned cDNA fragment to construct an expression vector pGLl in which the luciferase cDNA was inserted downstream of the GAL1 promoter (Fig. 5). Ten micrograms each of the expression vectors pMFE3A, pMFE3B, pMFE3C and pMFE3D prepared in Example 9 were introduced into Saccharomyces cerevisiae 20B-12 strain [Gene, 37, 155 (1985)] by the protoplast method [Proc. Natl. Acad. Sci. USA, 75, 1929 (1978)]. These trasformants were cultured at 30°C for 3 days in 100 ml of YEPD medium contained in a 1-liter culturing flask. During the culturing and after the culturing, 5 ml each of the culture was collected and was centrifuged at 4°C for 10 minutes at 3000 rpm. The supernatants were collected to obtain culture supernatants. The cells harvested from one milliliter of the each culture was washed with 5 ml of sterilized distilled water, and the cells were suspended in 1 ml of 50 mM sodium phosphate (pH 7.5) containing 0.1% Triton X-100. To this suspension, 1 ml of a glass beads (0.45 mm diameter) suspension was added and the mixture was left to stand at 0°C for 5 minutes while sometimes vigorously agitating the mixture with a mixer. The glass beads were separated by gentle centrifugation, and the supernatant was transferred to a 1.5 ml Eppendorf's tube, followed by centrifugation at 15,000 rpm for 5 minutes. The obtained supernatant was used as the cell extract. The expression vector pGLl (10 µg) was introduced into Saccharomyces cerevisiae YSH2676 strain ((a) ura3-52 leu2-3 leu2-112 trp1 pho3 pho5 his1-29) by the protoplast method as in Example 11. The transformant was cultured at 30°C for 2 days in 100 ml of a medium (1% yeast extract, 2% peptone and 2% galactose) in a 1-liter culturing flask. During the culturing and after the culturing, 5 ml each of the culture was collected and was centrifuged at 3,000 rpm for 10 minutes at 4°C. The supernatants were recovered and were used as the culture supernatant. Further, the cell extract was prepared in the same manner as in Example 11. The luciferase activities in the culture supernatants described in Example 11 were measured in the same manner as in the measurement for the culture supernatants of the animal cells described in Example 7. The results are shown in Table 3. As a control, the number of generated photons of the culture supernatant of S. cerevisiae 20B-12 strain into which pMFα8 was introduced was also counted in the same manner. The luciferase activities in the culture supernatants were determined in the same manner as in the measurement for the culture supernatant of the animal cells described in Example 7, and the results are shown in Table 4. As a control, the number of generated photons of the culture supernatant of S. cerevisiae YSH2676 strain into which p103 was introduced was also counted in the same manner. (f) control Intracellular 0.01 n.t. n.t. The N-terminals of 300 pmol each of the synthetic oligonucleotides EP-2, ES-2 and ET-2 as well as U-2 prepared in Example 8 were phosphorylated using T4 DNA kinase as in Example 8 and the phosphorylated oligonucleotides were stored at -20°C. For EP type, 50 pmol each of EP-1, phosphorylated EP-2, U-1 and phosphorylated U-2 were mixed. For ES type, 50 pmol each of ES-1, phosphorylated ES-2, U-1 and phosphorylated U-2 were mixed. For ET type, 50 pmol each of ET-1, phosphorylated ET-2, U-1 and phosphorylated U-2 were mixed. Each of the mixtures was subjected to annealing as in Example 8. Expression vector pMT-1 [originated from pKM6 (Japanese Laid Open Patent Application (Kokai) No. 61-247387)] having the promoter and an SD sequence of E. coli tryptophan operon (trp) was digested with restriction enzymes SmaI, ClaI and PvuII. On the other hand, the expression vector pCL07 prepared in Example 3 was digested with SmaI and ClaI, and a DNA fragment containing luciferase cDNA downstream from the ClaI site was separated and purified by the agarose gel electrophoresis method. Using T4 DNA ligase (commercially available from Takara Shuzo), 0.1 µg each of the pMT-1 digest and the purified fragment from pCL07 were ligated and the resultant was digested again by restriction enzyme SmaI. E. Coli HB101 competent cells (commercially available from Takara Shuzo) was transformed with the resultant to construct a plasmid pMT-CL07. This plasmid had a part of the luciferase cDNA of the region downstream from the ClaI site, at a site downstream of the trp promoter/SD sequence. The plasmid pMT-CL07 was digested with restriction enzyme ClaI and 0.1 µg of the obtained digest and 5 µl of the synthetic DNA construct in Example-15 were ligated by T4 DNA ligase to construct expression vectors containing the luciferase gene starting from the codons of methionine-proline (EP type), methionine-serine (ES type) or methionine-threonine (ET type), at a site downstream of the trp promoter/SD sequence. The thus constructed plasmids were named pMT-CLP, pMT-CLS and pMT-CLT, respectively. The nucleotide sequence in the vicinity of the junction region between the SD sequence and luciferase gene of each expression vector was checked by the usual dideoxy method using a sequence of 5'-TATAAATGGTCCAAGGA-3' in the luciferase cDNA as a primer to confirm that the cDNA was inserted correctly. The restriction maps of pMT-CLP, pMT-CLS and pMT-CLT as well as the confirmed nucleotide sequences are shown in Fig. 6. E. coli HB101 was transformed with each expression vector prepared in Example 16, and the obtained each transformant was cultured statically in 5 ml of L broth (containing 100 mg/l of ampicillin) overnight at 37°C. On the next day, 1 ml of the culture fluid was collected and was suspended in 50 ml of a synthetic medium [2 x M9-casamino acids medium (6 g/l of potassium dihydrogen phosphate, 12 g/l of disodium hydrogen phosphate, 10 g/l of casamino acids, 10 g/l of sodium chloride, 1 g/l of ammonium chloride), 1 mg/l of thiamine-HCl, 250 mg/l of magnesium sulfate, 1% glucose and 100 mg/l of ampicillin, and the resultant was cultured overnight at 25°C with shaking. On the morning of the next day, IAA (final concentration of 20 mg/l) and glucose (final concentration of 1%) were added and the pH thereof was adjusted to 7.5 with 12.5% ammonia water. The culture was continued for 3 hours at 25°C. After 3 hours, IAA, glucose and ammonia water were added in the same manner and the culture was continued for another 3 hours. After the culturing, 8 ml of the culture fluid was centrifuged to collect the cells, and the cells were suspended in 0.5 ml TE buffer [10 mM Tris-HCl (pH 8.0)/1 mM EDTA]. Freeze-thaw cycle was repeated 3 times using warm water at 42°C and dry ice/acetone to disrupt the cells and the resultant was centrifuged at 10,000 rpm for 10 minutes. The obtained supernatant was used as a crude enzyme solution. The luciferase from Cypridina hilgendorfii provides a luminescent system with very high luminescence intensity. Therefore, the enzyme may be attached to an antibody molecule and used for EIA (enzyme immunoassay). Althernatively, the enzyme may be attached to DNA/RNA molecule which may be used in the DNA probe method. Thus, the wide use of the enzyme for various assays is expected. By the present invention, the primary structure of the cDNA encoding the luciferase from Cypridina hilgendorfii was determined and the primary structure of the luciferase was also identified. By culturing the animal cells, yeasts or E. coli containing the expression vector of the luciferase of the present invention in a large scale, the luciferase may be supplied constantly in a large amount at a low cost. Further, the methodology for the promotion of the stability of the luciferase, improvement of the quantum yield of the liminescence photons, improvement of the luminescence conditions and for the change in the luminescence wavelength by employing protein engineering technique was developed. A process for producing luciferase comprising the culturing of a transformant with a vector DNA coding for luciferase having the amino acid sequence as shown in figure 1 and comprising a gene having the nucleotide sequence as shown in figure 1. The process of claim 1, wherein the vector DNA comprises the gene ligated at a site downstream of a promotor. The process of claim 1, wherein the vector DNA comprises the gene ligated at a site downstream of a promotor and a SD sequence. The process of claims 1 to 3, wherein the transformant is an animal cell, a yeast cell or E. coli cell. 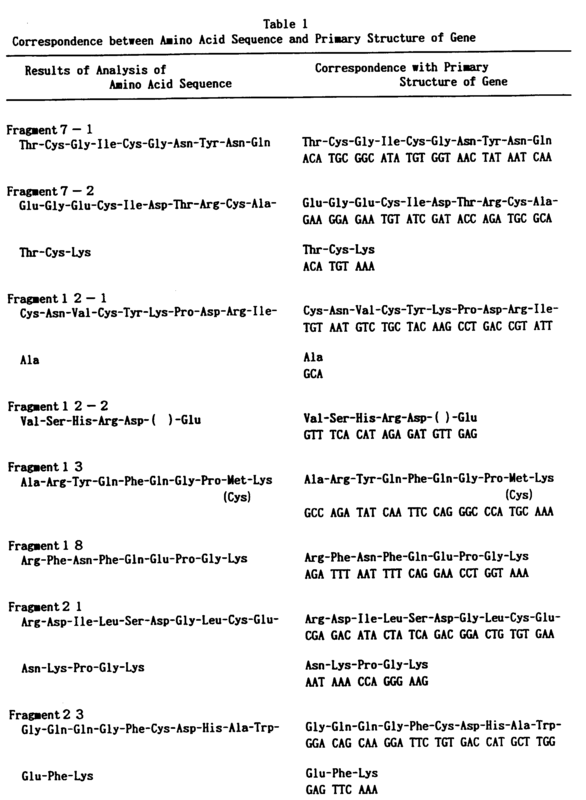 The process of claims 1 to 4, wherein the produced amino acid sequence is from the 29th to 555th amino acid sequence as shown in figure 1. The process of claims 1 to 4, wherein the produced amino acid sequence is from the 30th to 555th amino acid sequence as shown in fiugre 1. The process of claims 1 to 4, wherein the produced amino acid sequence is from the 31st to 555th amino acid sequence as shown in figure 1. The process of claims 1 to 4, wherein the produced amino acid sequence is from the 32nd to 555th amino acid sequence. Camonis et al. 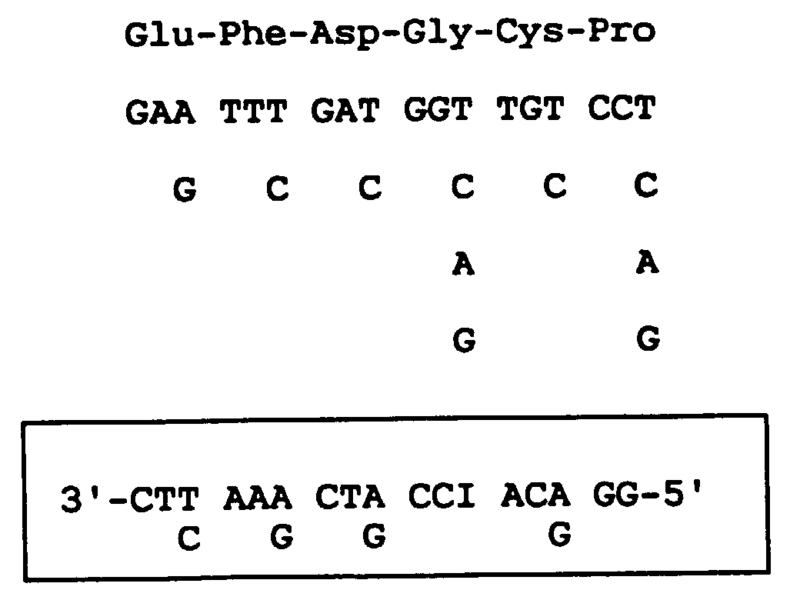 1986 Characterization, cloning and sequence analysis of the CDC25 gene which controls the cyclic AMP level of Saccharomyces cerevisiae. Duplay et al. 1984 Sequences of the malE gene and of its product, the maltose-binding protein of Escherichia coli K12. Pedersen 1984 Escherichia coli ribosomes translate in vivo with variable rate. Molenaar et al. 1988 A carboxyl‐terminal cysteine residue is required for palmitic acid binding and biological activity of the ras‐related yeast YPT1 protein. Hong et al. 1987 Characterization and sequence analysis of a developmentally regulated putative cell wall protein gene isolated from soybean. Hartmann et al. 1996 The pheromone response factor coordinates filamentous growth and pathogenicity in Ustilago maydis.